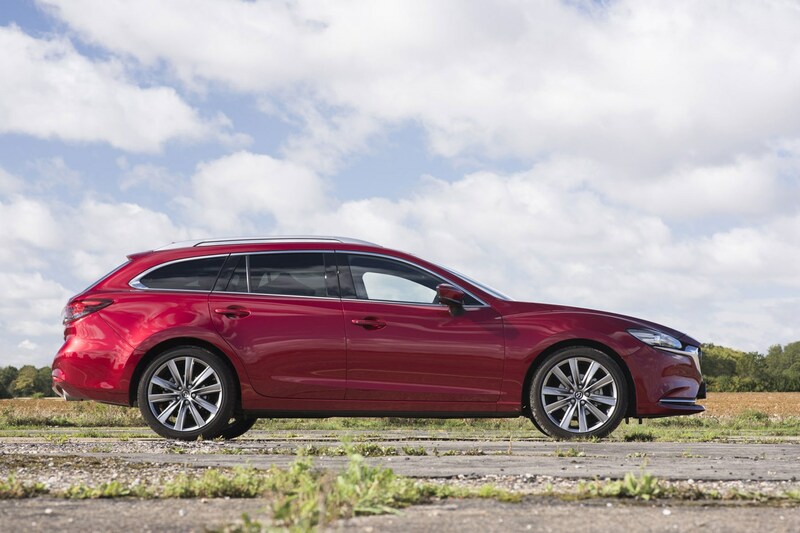 The Mazda 6 Tourer has always been practical, comfortable and well-equipped. And it’s just received a new, more powerful petrol engine complete with standard-fit automatic gearbox. So we thought it was worth grabbing the keys and seeing whether a large, non-turbocharged petrol engine is the right choice for a family car. Can a large but low-power petrol engine manage to provide strong refinement, sufficient muscle to cart around a load of passengers and a full boot – plus good enough real-world fuel economy to make it a better choice than the diesel? Over the coming year or so we’ll find out. 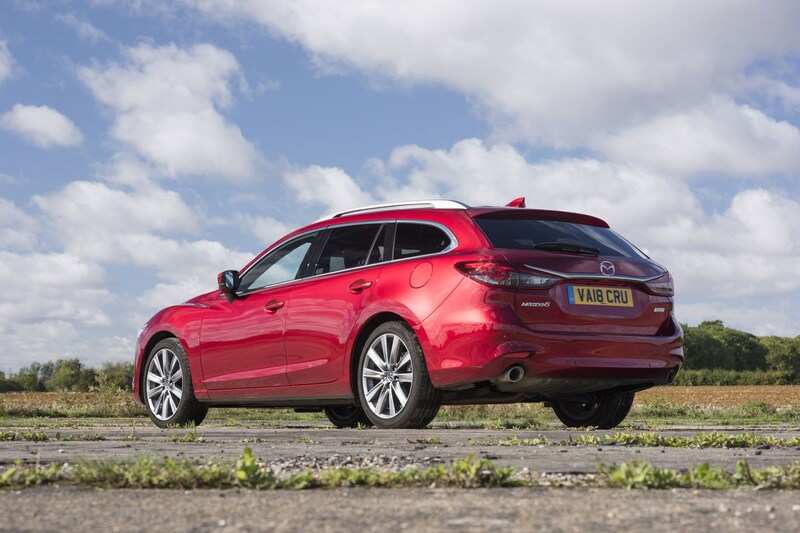 What specification is Parkers’ long-term Mazda 6 Tourer? 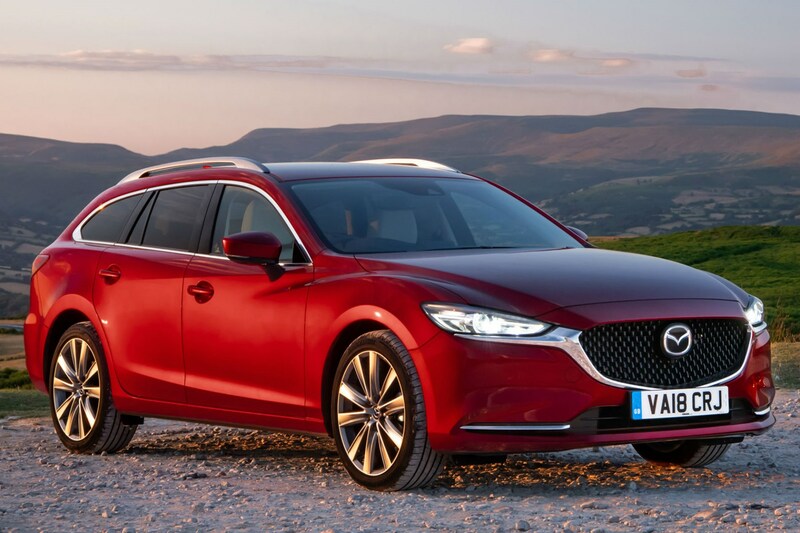 How much does the Mazda 6 Tourer cost? The standard car has a list price of £31,695, rising to £32,495 with our model’s metallic paint. More important, however, is the 6’s PCP finance costs, since more new car drivers finance their cars than buy them outright. Monthly payments weigh in at £391 on a three-year, 10,000-mile-per-year contract with a £4,000 deposit. Include the metallic paint and that rises to £415 per month. This isn’t cheap, but when you consider how much equipment is included as standard, you get a lot of car for the money with the 6 Tourer – and it costs less than several rivals. Thanks to a £4,000 deposit contribution discount and relatively low interest charges, the 6 is good value if you plan to pay monthly. That’s because this saving more than outweighs the interest charged, meaning that if you were to make the optional final payment at the end of the contract to buy the car, you’d have paid less than the list price. Why should I get a Mazda 6 Tourer over the VW Passat? 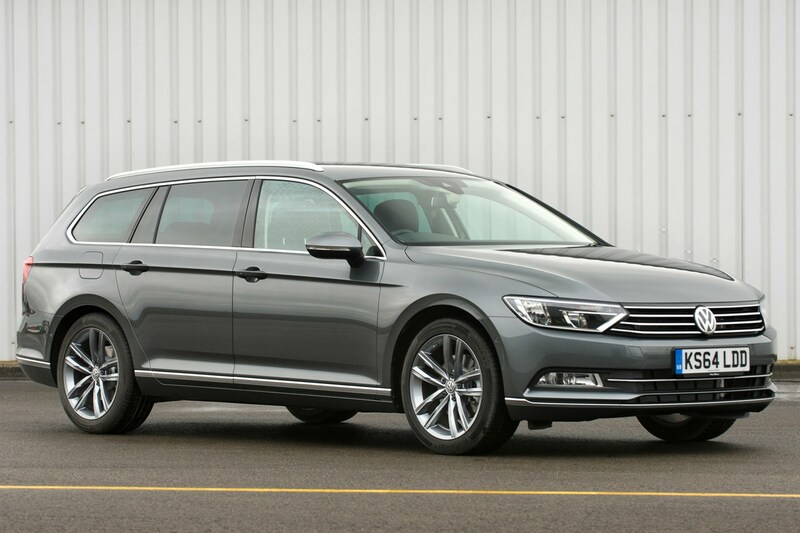 The VW Passat Estate offers a gigantic boot, high-quality interior and decent selection of petrol engines. 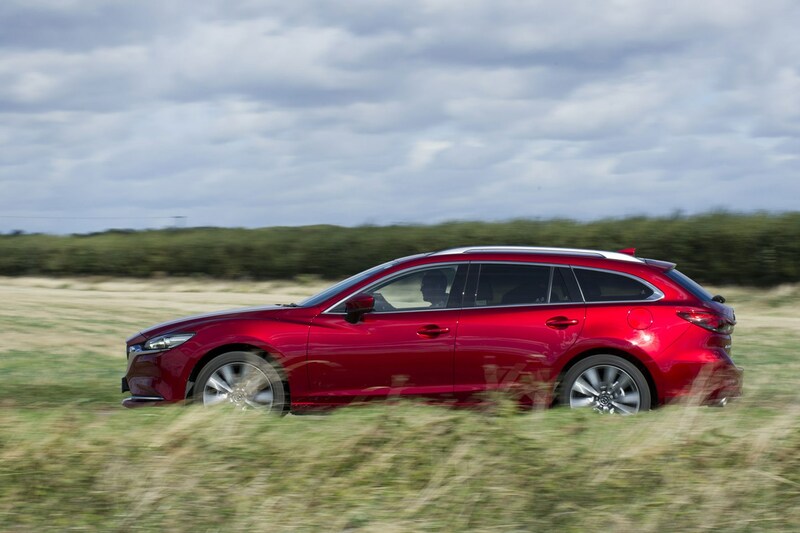 However, the Mazda 6 Tourer packs an enormous amount of standard kit – especially in range-topping GT Sport Nav+ form. This means that even if you went for a plush GT specification VW you’d still have to spend around £5,000 extra to fill it with the same level of equipment as the Mazda. 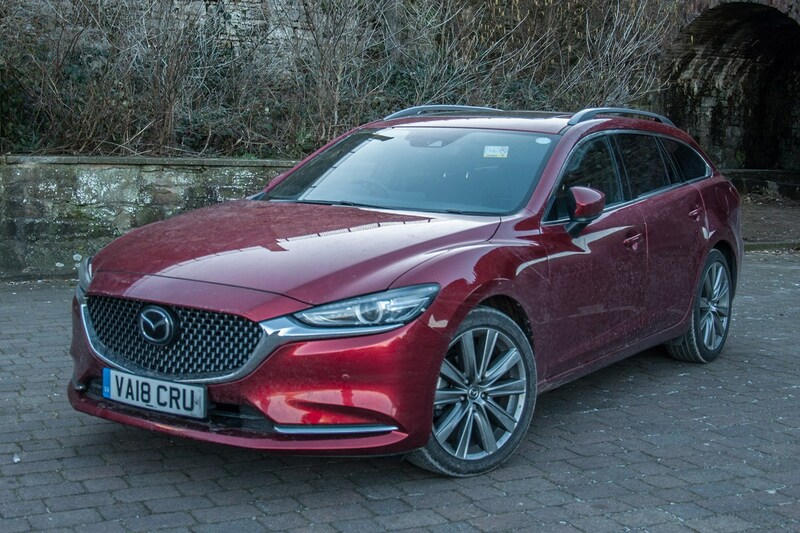 Throw in the Mazda’s striking looks and on paper, at least, it’s a worthy alternative estate car to the Passat, with sufficient on-paper appeal to be worth considering. After a week with the keys, a few things stand out about the 6 Tourer. Firstly, it really is packed with equipment. Whether it’s cold and you’re looking to warm your fingers on the steering wheel, it’s too warm and you’re looking to cool your behind on the front seats, take advantage of the head-up display or extremely powerful headlights, this is a high-tech car. 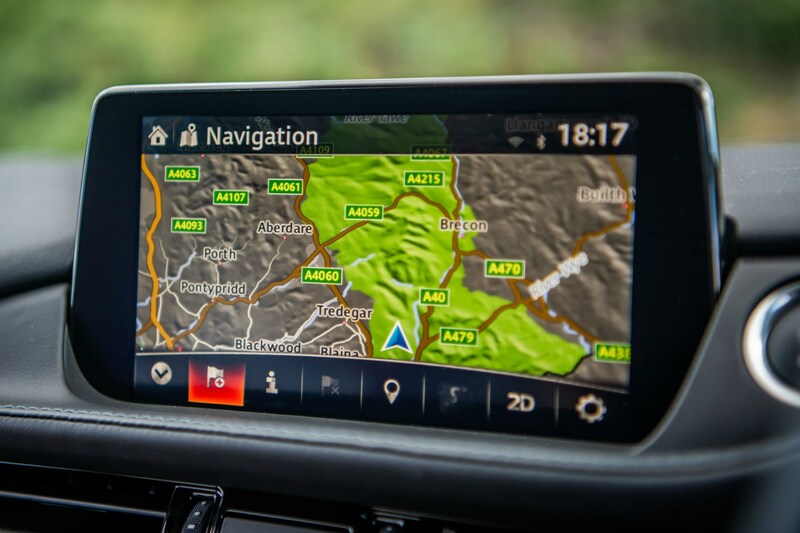 A few features are underwhelming – including the reversing camera, which presents a murky, low-resolution view behind, and the media system, which isn’t as slick to use as you’d hope – but the initial impression is that this is a lot of car for the money. In our next update, we’ll be comparing the 6 Tourer against rivals on PCP finance, to see which offers the best value and testing out the new diesel model against a four-year old model to see what’s changed. 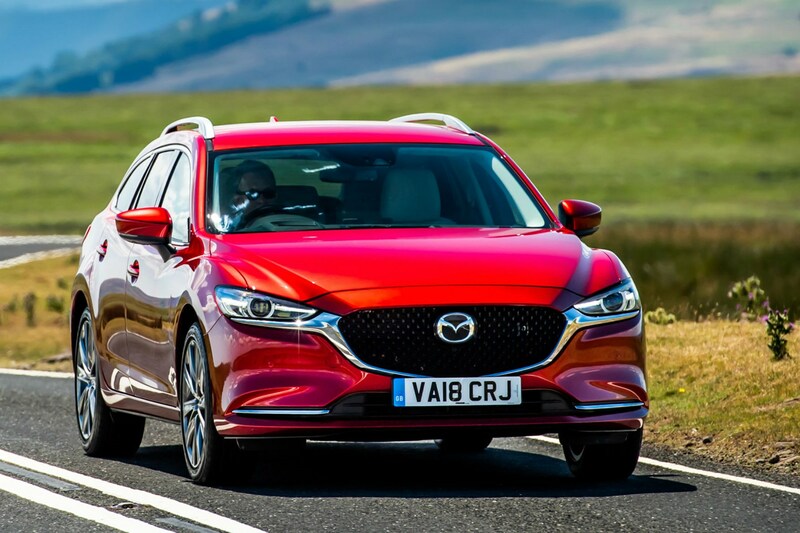 Nearly 90% of privately purchased new cars in the UK are funded through finance, so we’ve looked into manufacturer PCP finance costs for the Mazda compared with rivals, to see which offers the best value. Don’t think that you can simply guestimate monthly payments from cash prices. One of the cars in our comparison has a £44,600 list price but costs £71 less per month than another £34,990 model. Therefore, we’ve done the sums to help you make up your mind about which estate best suits your needs. With a £4,000 deposit contribution discount and 4.1% APR, Mazda’s PCP finance scheme is great value, as the interest charges are more than outweighed by the large finance discount. 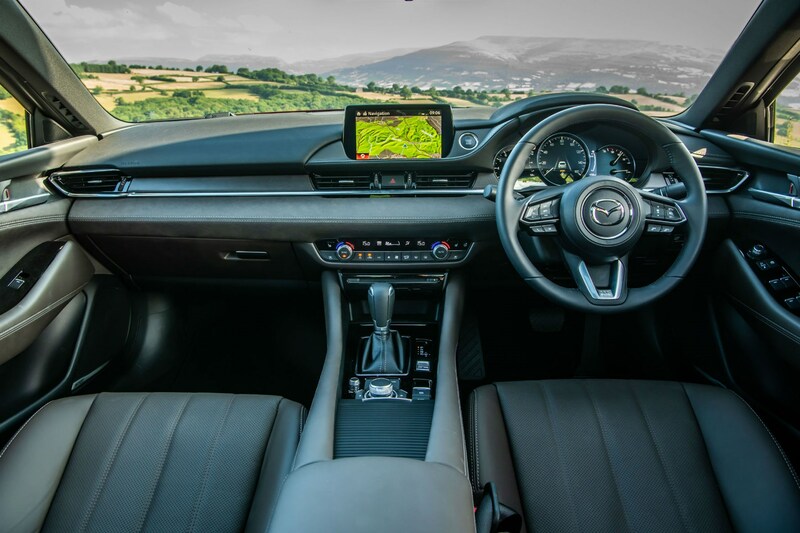 Go for our Mazda 6 on a three-year, 10,000-mile-per-year contract with a £4,000 deposit and monthly payments weigh in at £391. That’s a lot of money in isolation, but considering how much equipment comes as standard with the 6, it’s still strong value. If you don’t want this car’s automatic gearbox, can do without some of the GT Sport Nav+’s extensive kit and are happy with a slightly less powerful engine, you can cut monthly payments to a far more affordable £286 with the 6 Tourer 2.0 165hp Sport Nav. Not only is the Passat Estate 1.8 TSI 180 GT DSG – the closest rival for the 6 – cheaper in cash terms than the Mazda, but it also costs less per month (with identical contract terms). Monthly payments stand at £376 on a three-year contract (£4,000 deposit, 10,000-mile-per-year allowance). Why such good value? The VW’s cash price is lower, it’s predicted to be worth more at the end of the contract – consequently shrinking monthly payments – and interest charges are lower. There’s also a £3,500 finance discount from Volkswagen – very nearly as large as the Mazda’s deposit contribution. Yes, the Volkswagen can’t match the Mazda’s enormous list of standard kit, but it includes 99% of the luxuries most drivers would want, so it’s well worth considering if you’re looking at the 6 Tourer. With its turbocharged engine, the Volkswagen also offers much greater pulling power at low engine speeds, so if you regularly carry a lot of weight in the car, it’s likely to feel more muscular. The boot is also substantially larger. Don’t think you can afford a Jaguar for a similar monthly price to this Mazda? Think again. 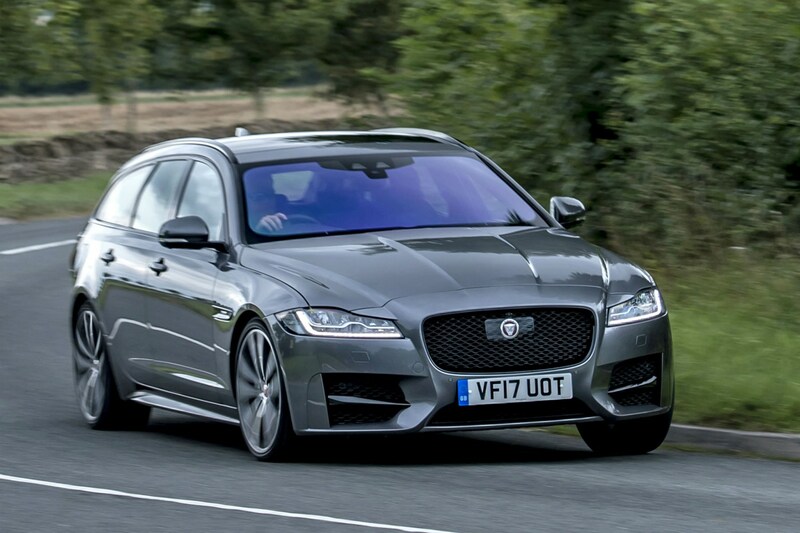 The Jaguar XF Sportbrake is phenomenally good value on Jaguar’s PCP finance scheme. In addition to interest-free credit, you get a £4,300 deposit contribution discount and because the car is so desirable, it’s worth a lot when you hand it back, further shrinking your monthly bills. Take all this into account and monthly payments for the XF Sportbrake 2.0 250hp Portfolio come in at £404 per month – not much for a near-£45,000 car. More than this, the Jaguar is larger, has a bigger boot – both with seats up and down – and offers far greater performance due to its notably more powerful turbocharged petrol engine. Consider that Portfolio trim is pretty well equipped – though it can’t compete with the Mazda – and is the larger, more practical car and it’s likely to be a very appealing option for many drivers. 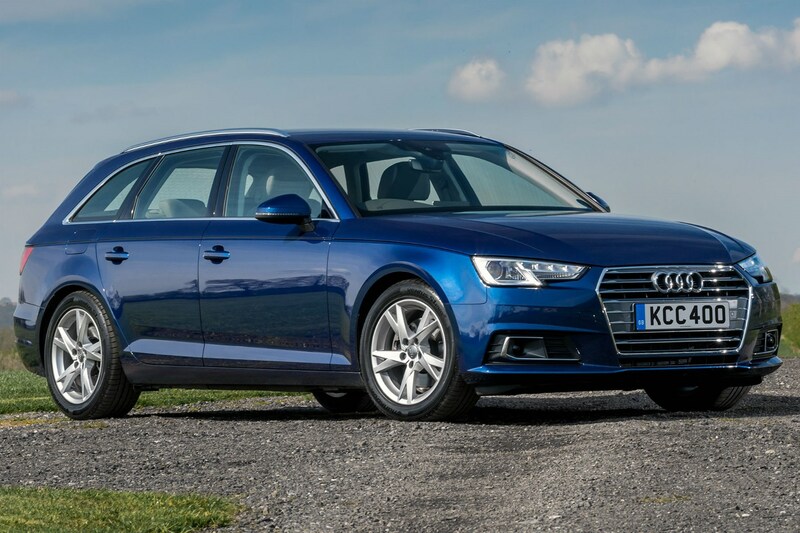 Aside from the Passat, it’s the A4 Avant and BMW 3 Series Touring the Mazda has to beat. And in the case of the Audi and BMW, both are substantially more expensive to finance. The A4 Avant 2.0 TFSI 190 S Line S tronic would set you back £484 per month, while the BMW 320i M Sport Touring automatic costs £475 per month. 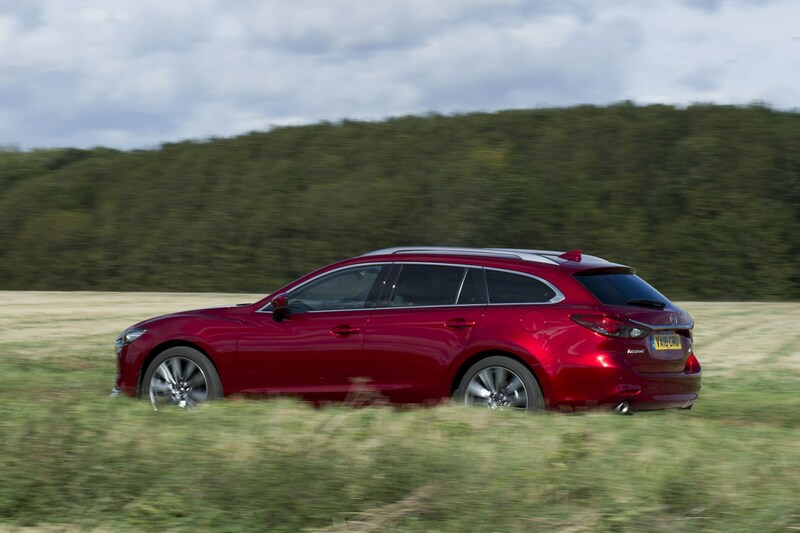 As with the other Mazda alternatives mentioned here, these both feature turbocharged engines, meaning that they produce more power at low engine speeds, and neither offers the same level of standard equipment that comes with the 6 Tourer. Should I finance a Mazda 6 Tourer? 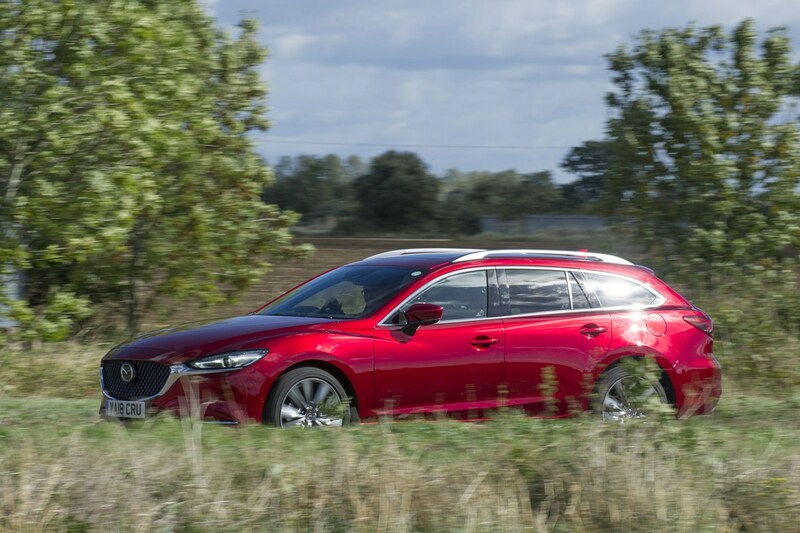 If you’ve decided that the 6 Tourer is the car for you, Mazda’s PCP finance scheme is a wise choice, as it offers strong value with a large finance discount and middling interest charges. Better still, if you decide to make the optional final payment to buy the car at the end of the contract, it’ll have cost you less overall than if you simply paid cash. However, both the Volkswagen Passat and Jaguar XF Sportbrake offer very strong competition for those purchasing through manufacturer PCP finance. 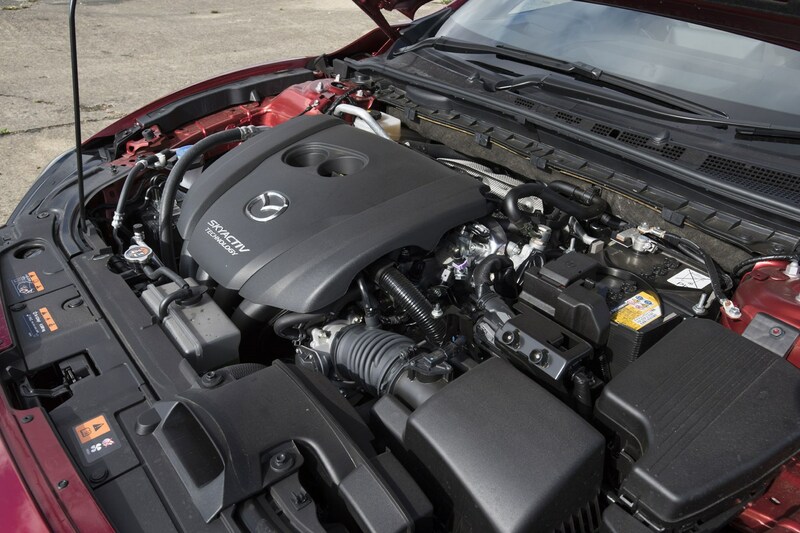 With large boots, strong performance from their turbocharged engines and desirable badges, many motorists will prefer to forego some of the Mazda’s equipment for one of these. We’ll endeavour to drive both cars to discover which is the best option for those after a high specification estate. 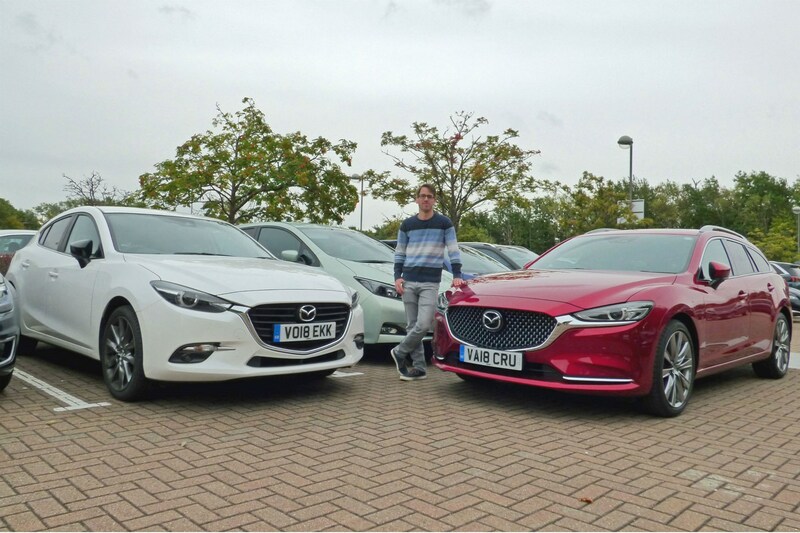 Parkers Finance Editor Chris Lloyd loves the Mazda 6 estate – I mean, I can’t stress this enough: he loves the Mazda 6 estate. Excellent on finance, well-equipped and good to drive, he talks about them so much it’s as if they haunt his dreams, no doubt sweeping down avenues lined with seductive PCP comparison spreadsheets. As such, people’s champion that he is, Chris was keen to practice what he preached and ordered this car to be his long-term test companion. Yet after just two reports, I have ended up with the keys. Has there been some sort of falling out? Has Mazda changed its APR, or something equally heinous? Not at all. Chris is still very much a 6 advocate – it’s just that given the choice he’d pick six cylinders, arranged in a line under the bonnet of a compact BMW, hence has jumped ship into an M140i. Which goes very nicely with his very own personal 130i M Sport (and also proves though he may have the brain of a finance geek, he’s still also very much a petrolhead at heart). Obviously, I’m being silly. There’s a very good reason I’m now in charge of this fine-looking 6 Tourer. Her name is Seren, and at the time of writing she’s just shy of seven months old. That’s right, I’m now a Dad, so suddenly I find myself needing what my wife likes to call a ‘Dad car’. 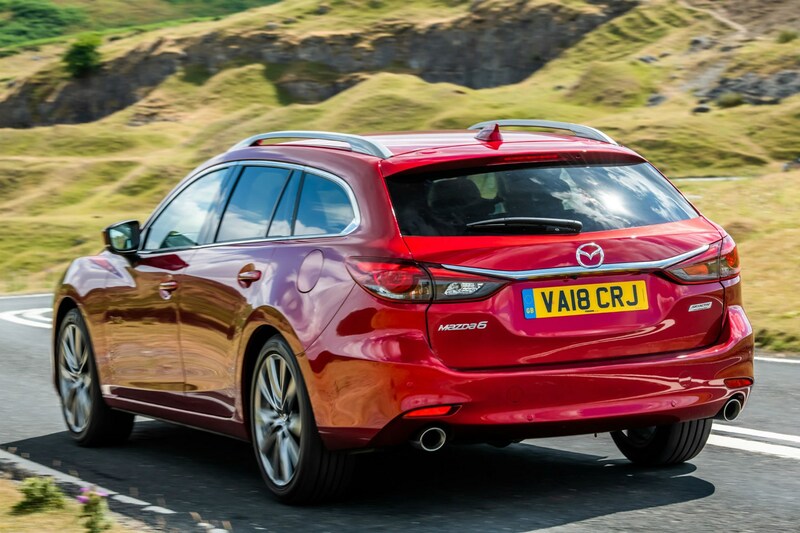 Five doors, big boot (ahem… we’ll come back to this), a hassle-free automatic gearbox and lots of kit – the Mazda looks ideal for the job. 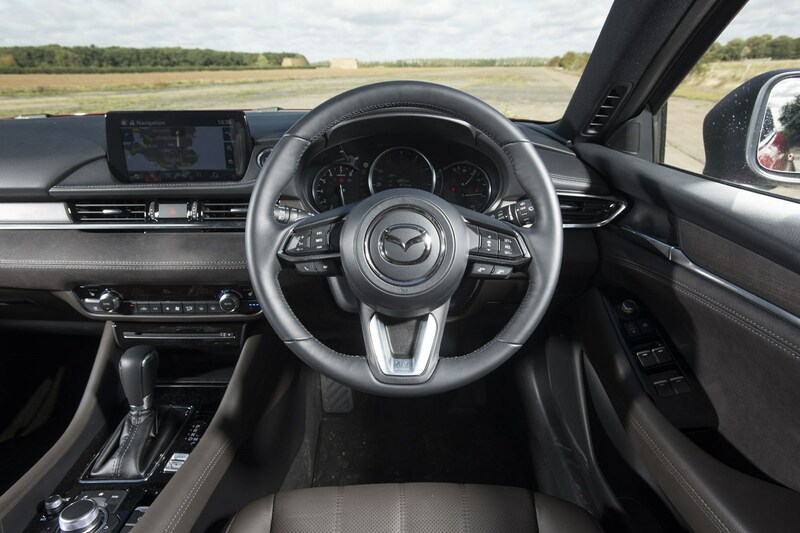 When did the Mazda 6 Tourer change hands? The realities of our scheduling and the fact that I’ve been on paternity leave for the last three months (yes, you read that right – I’m very grateful to report that Parkers has a fantastic shared parental leave policy) mean that I’ve actually been driving this sparkly red Mazda since September 2018. As a result, I’ve already formed several opinions of it, some of which I’ll be dealing with in more detail in subsequent reports. But the general gist is: I understand Chris’s praise-heavy position, but I don’t necessarily agree with every aspect of it. 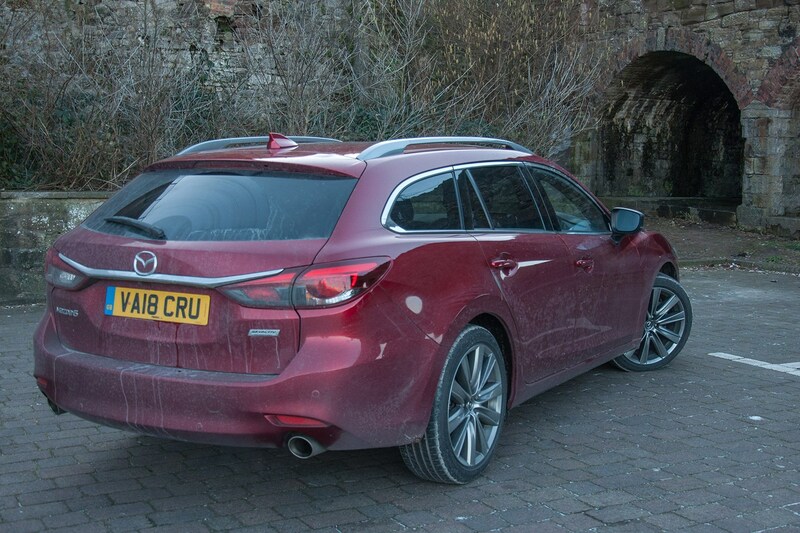 First impressions of the Mazda 6 Tourer are excellent. This is a handsome automobile, in a manner that is distinctly different to any other rival estate car – if you want to stand out in the company car park, one of these will do the trick. Especially finished in Soul Red and sitting pretty on the 19-inch alloys that are standard fit on GT Sport Nav+ trim. Sweet. The interior isn’t as immediately striking, being largely rather dark. But it doesn’t take you long to appreciate that it’s really a rather lovely piece of subtly intricate design. 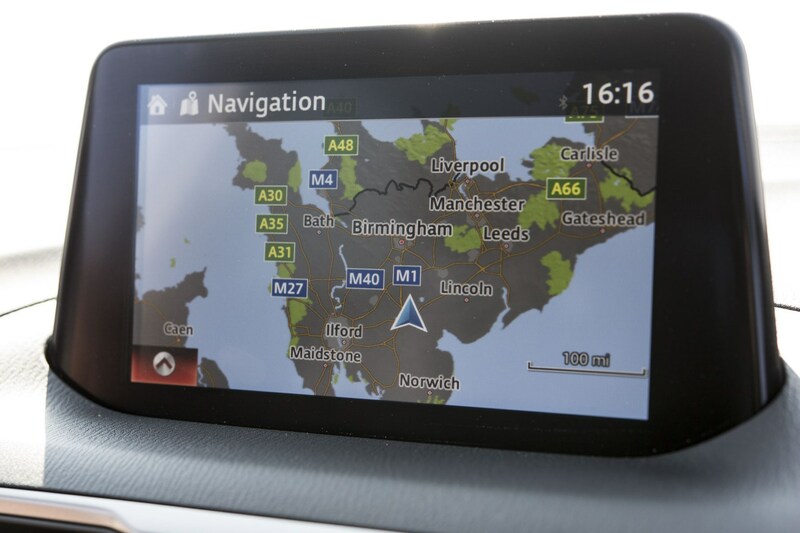 All the major secondary controls – for the ventilation system, for example – are easy to use and clearly labelled, and though Chris was a little down on the included MZD Connect infotainment package, it’s one of my favourite media systems, being supremely easy to use yet blessed with function-packed sat-nav. I confess it took me a while to realise the upholstery is dark brown rather than black – blame the short days and largely driving it in the dark for that – but once noticed this has become another favourite feature, another subtle point of difference between the 6 and a regular common-or-garden estate car. The digital dashboard, however, I did spot straight away. Again, it’s the little details that impress me here, including the way the position of the driving range indicator shown adjacent to the digital fuel gauge (there’s a regular dial as well) descends as the tank empties, and the way the current speed limit is marked in red on the speedometer. The Mazda 6 also has one of the best head-up displays I’ve used, packing a surprising amount of information into an unobtrusive space in a manner that isn’t overly distracting. There is some properly good thinking going on here. The Mazda 6 starts to fall down a bit for me when it comes to the driving experience. A non-turbo 2.5-litre four-cylinder petrol engine is certainly an unusual method of motivation for a new car these days, and even after all this time I’m still coming to terms with it. The automatic gearbox doesn’t help; at times occasionally indecisive and jerky, if I wanted to change gear that badly I’d want to do it myself. It seems very much at odds with the modernity of the rest of the car, in turn making it feel out of touch with the rest of the class. Then there’s the ride quality. Those 19-inch wheels may look good, but on a family car I fear they’re a step too far. This is a hard-riding machine. Arguably acceptable if you’re keen to chase BMWs down backroads, but if your primary passenger is small and squishy, the way it bucks and bangs over bumps and ruts isn’t ideal. What’s more, for all that this is an estate car – in other words a vehicle which is supposed to put practicality at its core – the boot doesn’t seem to be particularly big, at least when it comes to dealing with baby gubbins. Ditto the rear passenger space, as we’re finding fitting in the little assassin’s car seat means compromising the position of the seats up front. Though perhaps her throne is an especially big one. Why would you put a parcel down on someone's car? Why?! The list of things you don’t necessarily want to see when looking out of your lounge window while feeding your infant daughter probably does include the postman placing a large parcel down on the bonnet of your car. This was such a surprise, it didn’t entirely register at first. I mean, who does that? 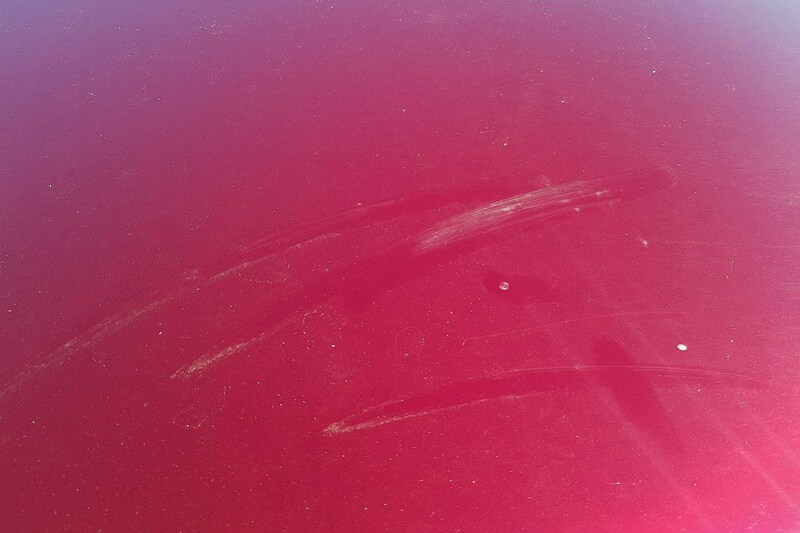 Who puts something grubby and potentially damaging down on someone else’s car? I believe my jaw actually fell open. That was the only reaction I could make in the moment, unfortunately, as said daughter was busy drinking at the time. Anyone who’s ever had small children can tell you, interrupting one in the middle of a meal is not a recipe for a calm and content start to the day. So I watched powerlessly, as the postie then returned to collect the parcel, and headed off down the street. That’s right. The parcel wasn’t even for us. Anyway, some 20 minutes later, daughter darling had finished snarfling and fallen asleep on my shoulder, allowing me to pop outside and confirm my worst fears. 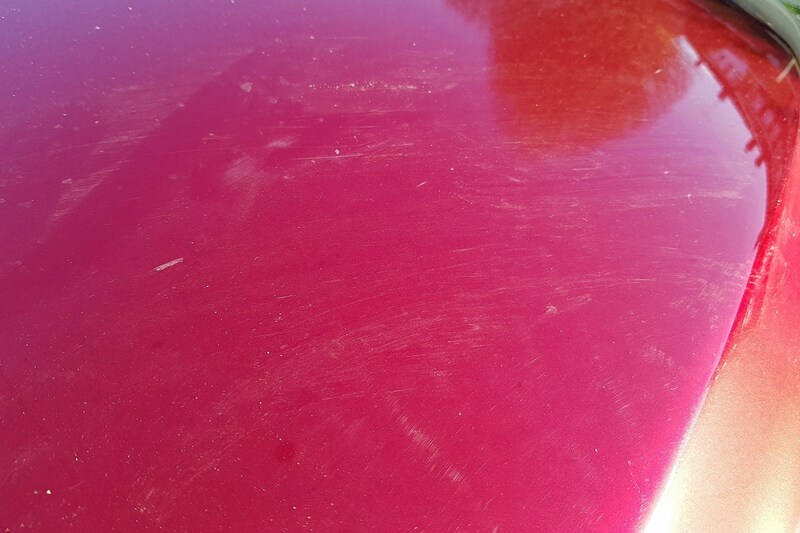 The big box had scratched the Mazda’s fancy Soul Red paint. There was no sign of the postman, of course. 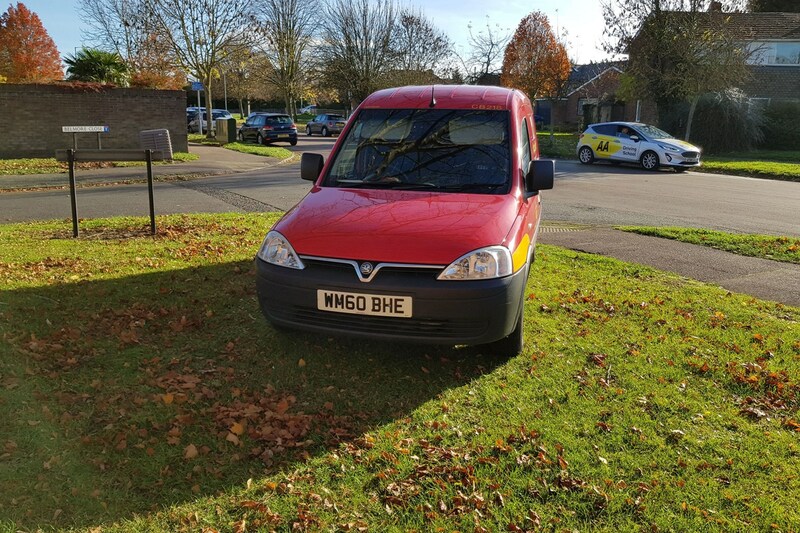 But his van was parked on the grass as usual, so I took a picture of that, just to make me feel better. I then went and did what everyone does these days – vented on Twitter. Frankly, I think I was quite restrained – my chief concern being that I didn’t want parcels put down on any of the cars that get parked on my drive ever again, and how I got Royal Mail to make that happen. After all, I’m not always in the house mid-morning to watch out for these things and, no disrespect to the Mazda, sometimes the cars that are parked there are considerably more exotic. To make a damage-to-property claim with the Royal Mail you have get two quotes for the cost of repair. Fair enough. Getting those quotes turned out to be more of a mission than I expected. Figuring I’d better do this properly, I wanted to get at least one quote from a Mazda-approved repair centre. 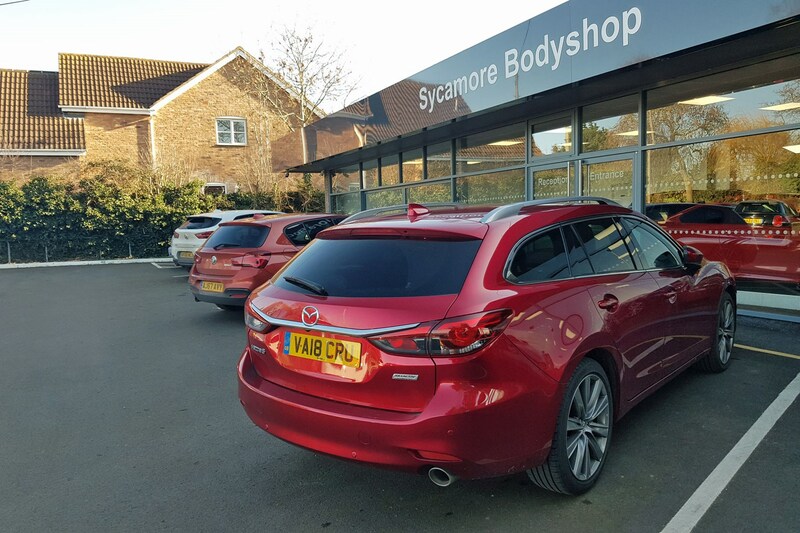 But neither the Cambridge (where I live) nor the Peterborough (where I work) Mazda dealers have bodyshops on-site. The Cambridge service department did cheerfully lead me to the independent smart repair company that is on its site. Called Revive!, after a quick but thorough inspection and sensible questions asked, a quote was in my email inbox before I got back to the office. Good stuff. Cambridge then provided me the address of its local Mazda-approved repairer, Cooper Barnes in Linton. I duly drove the 30 minutes to get there, only for the rather grumpy receptionist to tell me a private quote for a repair would cost £25. No thank you. That’s an hour of my life I won’t be getting back – though I suppose I should have phoned first. Lesson learned, I did call the Peterborough Mazda-approved bodyshop ahead of time, which turns out to be an off-shoot of Sycamore BMW. Appointment sunnily made, I arrived as requested and the car was inspected in a manner every bit as courteous and professional as you’d hope a premium brand would be. With only Cooper Barnes letting the side down, I came away from the other two repair candidates confident the Mazda would be in safe hands. What sort of repair is required? Unsurprisingly, neither the Mazda-approved bodyshop nor the smart repairers wanted to touch the complex Soul Red paint if they could avoid it – blending this in would involve respraying not just the whole bonnet but also the tops of the wings and grille surround. Seriously expensive for a few unfortunate scratches. Gladly, both seem to agree that the scratches should just polish out – a much simpler and cost-effective method, if also a rather skilled one if the final result is to be finished to the best possible standard. Unexpectedly, the BMW bodyshop quoted less (£68.40) to do the job than the smart repair centre (£91.20). But perhaps that’s just the difference between prices in Peterborough and Cambridge generally. All the paperwork for the claim has now gone to Royal Mail, and I’m currently awaiting its response. Well, what do you know. 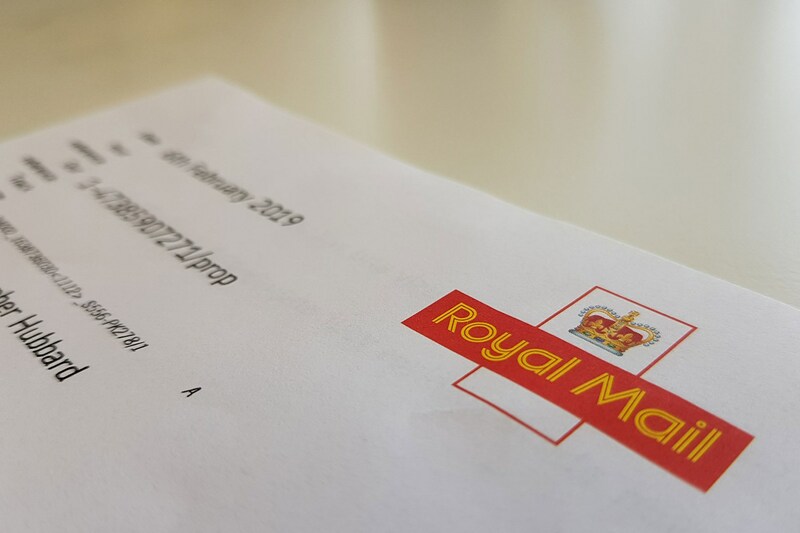 I was fully expecting Royal Mail to reject the claim for the damage to the Mazda 6 – not least because, for various reasons mostly related to paternity leave, there was some distance in time between the incident taking place and me completing the paperwork. So it was with a wry smile that I regarded the envelope that had clearly come from the Royal Mail when it arrived at my home address earlier this week. That smile quickly developed into an amused grin – the letter within is mildly hilarious. After confirming that the postman in question had been interview and admitted putting a bundle of mail down on the car (I actually think this is a different incident, when I caught him putting some post on the top of my wife’s car; the damage to the Mazda was caused by a large parcel), Royal Mail then goes on to say it doesn’t think this would have caused the damage in question. And then goes on to include a check for the exact amount of the cheaper repair quotations anyway. Which is confusing, but ultimately a good result. Well done RM. I’ll be booking the car in to get the paint rectified very shortly. Comfortable cruiser – refined at motorway speeds, decent ride and little wind or road noise. Easy to just hop in and drive, too. Raucous engine – fine at low revs, but sounds like you’re blending gravel when you put your foot down. Feel very long – turning to my left to look out the back three quarter and it felt utterly miles away. Although, if memory serves correct, the saloon version is actually longer than the estate. Infotainment has as proper dial controller – one of the only manufacturers to still do this. It’s far easier to use than a touchscreen – far safer too. He’s too flat-out feeding YouTube to deliver a more polished verdict, but to be honest I think he’s got it basically nailed. Although we clearly have a point of difference on the ride comfort – which he reckons is fine and I think is too harsh for family duties. As I’ve mentioned before, I believe my issues are mostly down to the 19-inch wheels. Next stop Sycamore BMW for the paint, then. Driving the Mazda 6 Tourer 1,500 miles has reminded me why these long-term reviews are so important. It's all well and good making a decision about a car based on the launch drive in the south of France, or in a week at the office, but the reality is that you're only going to really know about a car after spending a decent amount of time in it. I must admit that the Mazda 6 intrigues me. It's a rival to my much-missed old Skoda Superb Estate, and it will no doubt reside on a number of the same shopping lists. But in reality, the Mazda is a very different proposition. Mazda's policy of sticking with relatively large and low-stressed engines in an era of miniaturisation is interesting – so this 2.0-litre Skyactive-powered model would probably go up against a 1.5-litre TSI Evo petrol-powered Superb. 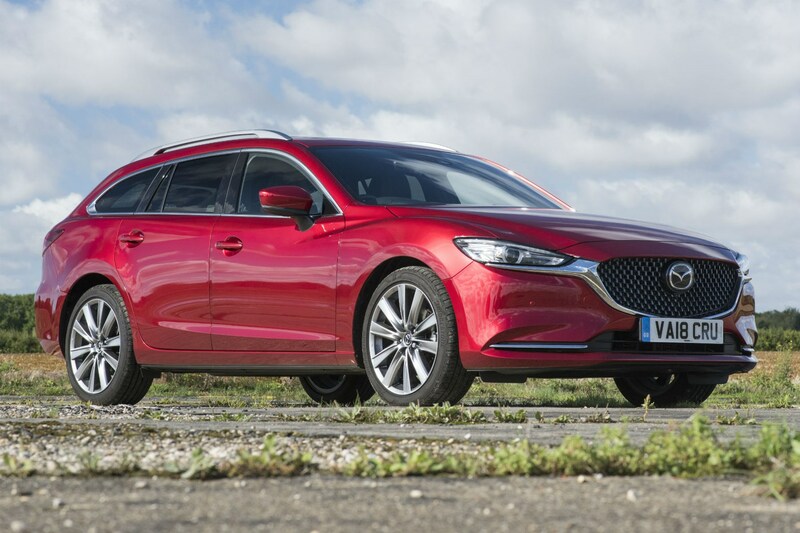 The first thing to say is that on the road, the Mazda doesn't feel that unstressed, and in terms of refinement, it's not really as smooth as VW Group's impressive new engine. It sounds harsh when being revved, and it's not terribly well matched with the automatic transmission specified on this car. Once underway, though, it settles down to a reasonable cruise, but I can't pretend I'm not disappointed by its overall refinement, and indifferent ride quality. Rewinding a little, first impressions of the Mazda 6 are positive. It looks good outside and in, and some of the materials used around the dashboard and seats are astonishingly tactile. 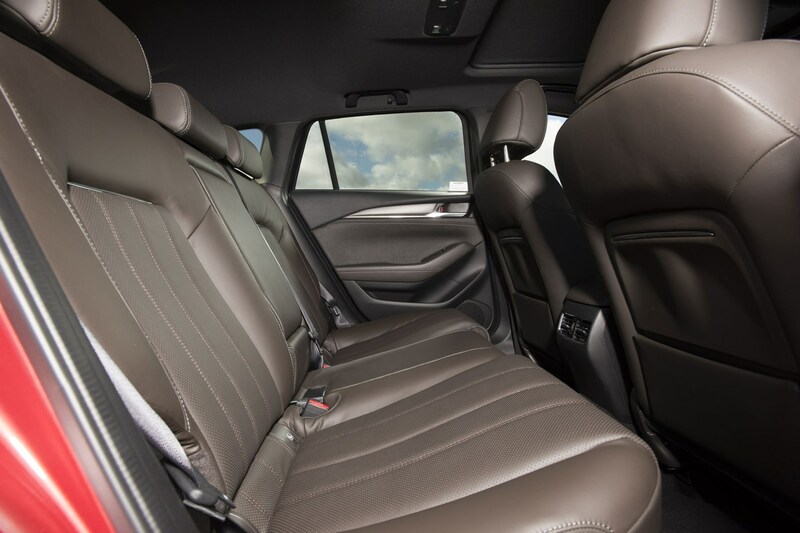 For such a curvaceous-looking car, the boot space is also up to scratch, as is front-seat room. You also can't knock the amount of kit they throw in for the money – and all with good finance, too. But disappointingly for me, the Mazda 6 is one of those cars that starts out doing the right thing, but as the miles roll by, the shine wears off. The driver's seat, for example, isn't that well-shaped and is too firm. It's a combination that left me with back ache after about 200 miles behind the wheel. I comment on this, as it's actually pretty unusual these days to encounter a seat that leaves me aching. Then there's the engine/transmission combination. There's no way this feels like a 194hp car – or it's a whole lot heavier than I thought. 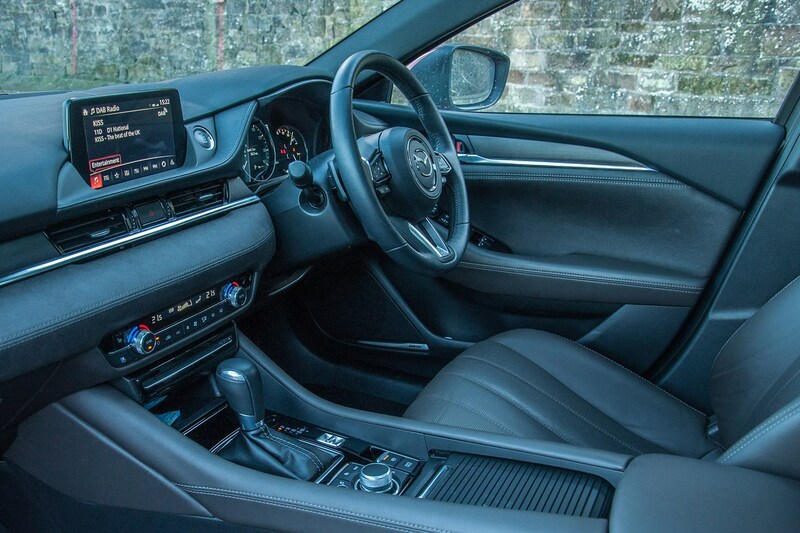 The automatic gearbox robs it of responsiveness, and it feels lacking in torque as a consequence. Why? Because to make decent progress, you need to rev it, and that's when its lack of refinement gets annoying. You can imagine what that did to the fuel consumption while I had it – and I'm sure CJ will relate that in a later update. The infotainment system is OK, but the fonts, designs and colours all seem a little low rent to me, while the lack of Apple CarPlay seems like a serious oversight in this day and age. It's not all bad, though, as sound quality is excellent, and the fact it's not reliant on a touchscreen is a major positive for me. What did we learn in 1,500 high-speed miles? That this one isn't for me. Don't get me wrong – I don't hate this Mazda 6. But I am disappointed by it. I suspect with a slick-shifting six-speed manual in place of that rather old-school-feeling automatic transmission, and on smaller wheels, it's probably a completely different proposition. It would no doubt be a very good all-rounder with decent potential fuel economy. Would I have one over a Skoda Superb, even though the finance is so compelling on this Mazda? Absolutely not. I'd take the potentially higher monthly payments on the chin – and go for the Czech.